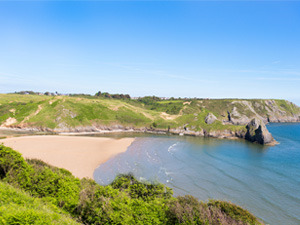 Caerfai Bay near St David's in Pembrokeshire has cliffs of purple sandstone and a sandy beach at low tide reached by steep steps. 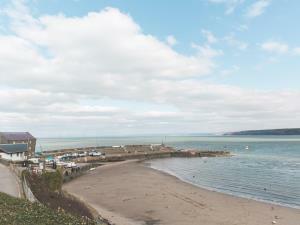 A small sandy beach adjacent to the ferry terminal at Fishguard Harbour. 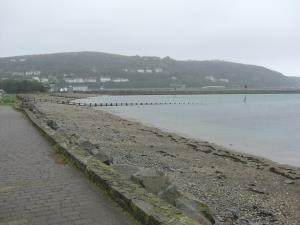 There’s a promenade above the top of the beach and a long breakwater that you can walk along. 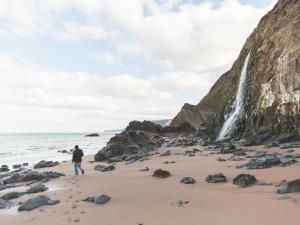 The beach is rated as one of the best beaches in Britain but involves a fairly long walk to reach it. 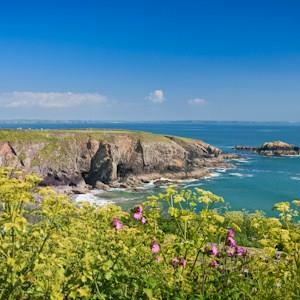 There is excellent car parking that is free to National Trust Members. 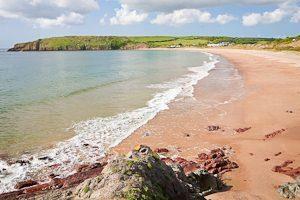 This is one of Pembrokeshire's most beautiful beaches, often described as the 'Jewel in the Crown'. 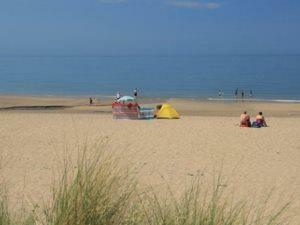 The beach is backed by dunes and trees and is owned and managed by the National Trust. 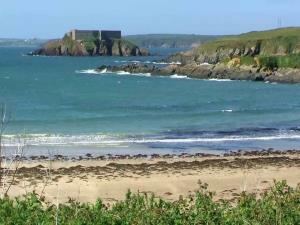 The beach is accessible only by the Coastal Path. 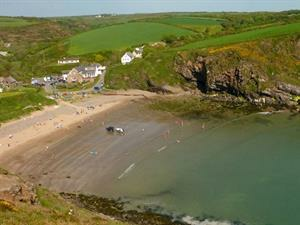 Nolton Haven is just to the south of Newgale beach with a long narrow beach at low tide. A wide, sandy beach backed by low dunes and surrounding headland. 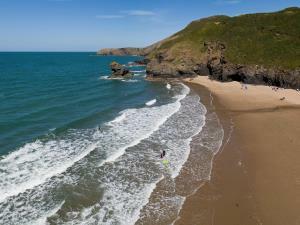 The beach is popular for fishing and water sports, in particular surfing, sailing and swimming. 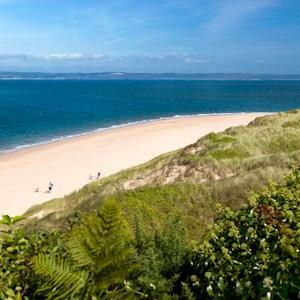 Described as one of Europe's best beaches, this eight mile stretch of long golden sand is one of the treasures of the Pembrey Country Park. 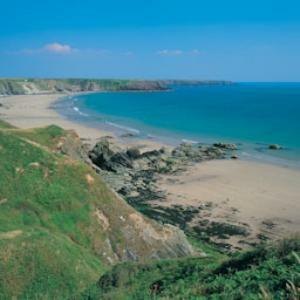 West Angle Bay is located on the western end of the Castlemartin peninsula about a mile west of Angle village. There is a free car park, and access to the beach is a walk of a few yards down a wheelchair friendly ramp.